There was the Super Ikonta A, which gave 16 6cm x 4.5cm shots per roll. The next model was the Super Ikonta B and it had a 6x6 format. The camera had an auto framing mechanism and there was no need for a little red window that you had to line the frame number up with. However, this went at the expense of one frame, so the Super Ikonta B put 11 shots on a roll, rather than 12. Then there was the Super Ikonta C. This camera delivered just eight shots on 120. There's a lot of negative in that 6x9 size! Downside, it's a pretty large camera and hefty too, weighing in at almost 800 grams. 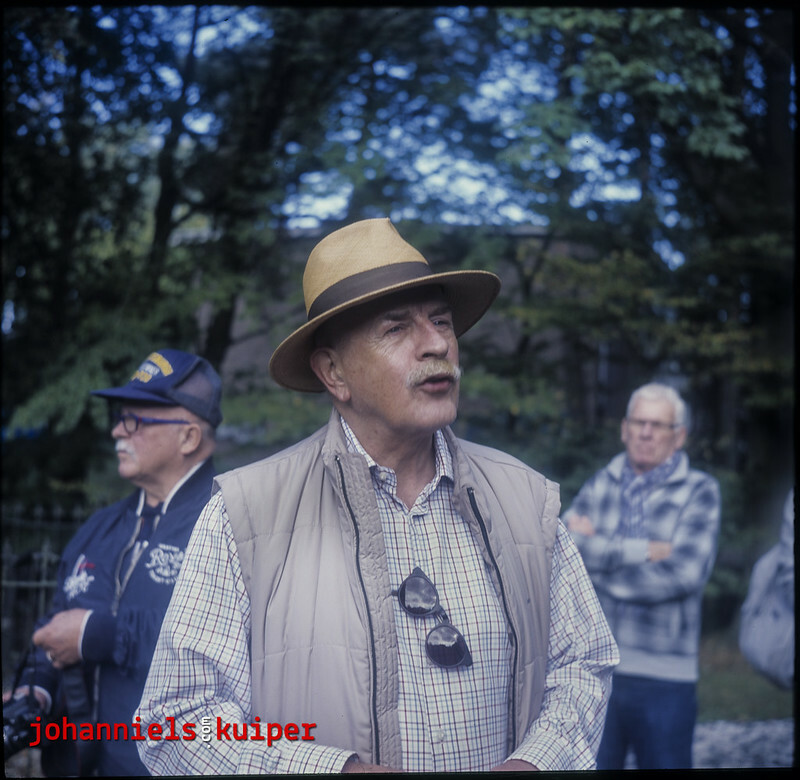 I prefer the Super Ikonta B, for its smaller size, its 80mm 2.8 Tessar lens and its square format. It's the perfect companion to a Rolleiflex actually. 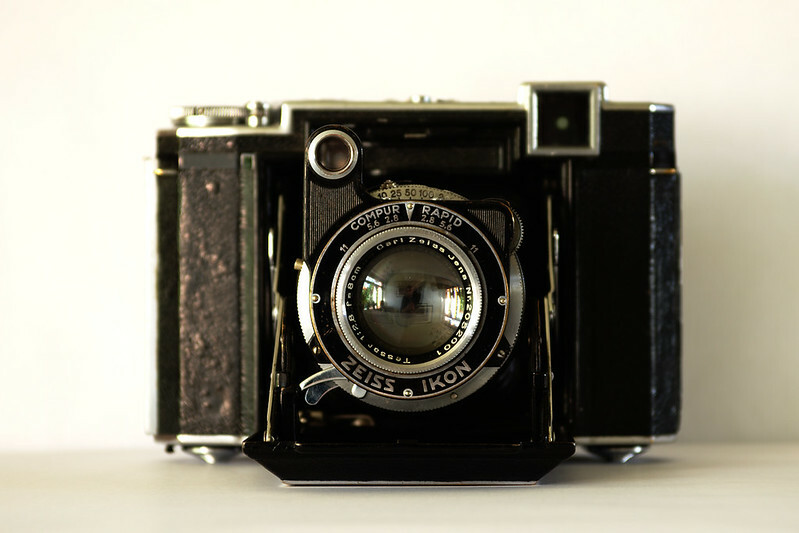 Zeiss-Ikon Super Ikonta B, 1937. The Way-Back Portrait Machine. A portrait of my dear friend Lucas, which was slightly overexposed (see the man in the background still glow?) but I was able to correct it to a very sharp and beautifully colored portrait. The Tessar is very well-corrected for its age, this is a pre-war lens and it hardly swirls in the background. I love Zeiss glass. Here's what the camera can do, shot from a train window at station Rheine, on the way to Berlin in summer 2015, Kodak Portra 160. Anyway, here's a table with all the most seen guises of the Super Ikonta models, their year of 'birth' and some specifications on them. So you can get your story straight, should you decide to get your own Super Ikonta! 1934. 6x4.5 on 120 Model 530 with Compur shutter and uncoated 75mm 3.5 Tessar. Some models have Klio shutter. 1937. 6x4.5 on 120 Model 531 with Compur Rapid shutter and uncoated 75mm 3.5 Tessar ( some with Novar ). Super Ikonta A 1948. 6x4.5 on 120 1948. Model 531 with Compur Rapid shutter and 75mm 3.5 Xenar. Mostly coated lenses. Super Ikonta A 1950. 6x4.5 on 120 Model 531 with Compur Rapid X shutter and coated 75mm 3.5 Tessar. 1952. 6x4.5 on 120 1952. Model 531 with Synchro Compur shutter and coated 75mm 3.5 Tessar. Super Ikonta B 1935. 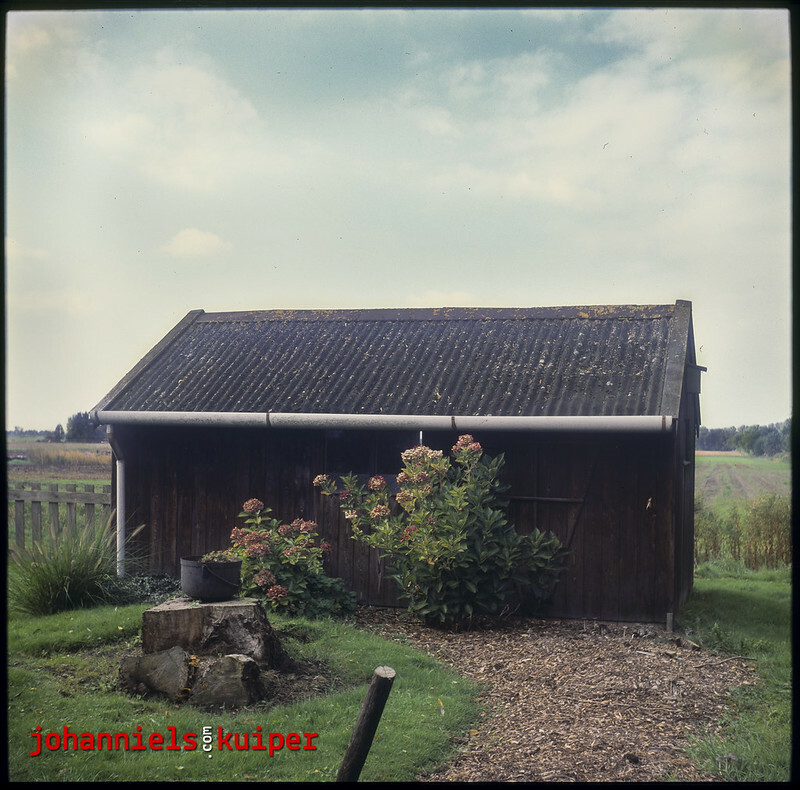 6x6 on 120 Model 530/16 with Compur Rapid shutter and uncoated 80mm 2.8 or 3.5 Tessar. 1937. 6x6 on 120 Model 532/16 with Compur Rapid shutter and 80mm 2.8 Tessar. Postwar versions have coated lens. Year 6x6 on 120 Model 532/16 with Synchro Compur shutter and coated 80mm 2.8 Tessar. Super Ikonta III 1954. 6x6 on 120 Model 531/16. Late model version of the "B" with revised rangefinder. Synchro Compur shutter and 75mm 3.5 coated Tessar or Novar. Super Ikonta IV 1956-60. 6x6 on 120 Model 534/16. Similiar to Model III but includes meter. Synchro Compur shutter and 75mm 3.5 coated Tessar. Super Ikonta BX 1937. 6x6 on 120 Model 533/16 with Compur Rapid shutter and uncoated 80mm 2.8 Tessar and uncoupled exposure meter. Super Ikonta BX c. 1946 6x6 on 120 Same as the model above but with a coated 80mm 2.8 Tessar and uncoupled exposure meter. 1952. 6x6 on 120 Model 533/16 with Synchro Compur shutter and coated 80mm 2.8 Tessar and uncoupled exposure meter. 1934. 6x9 on 120 Model 530/2 with Compur Rapid shutter and uncoated 105mm 3.8 or 4.5 Tessar (some have a 120mm F4.5 Triotar lens and a Klio shutter ). 1937. 6x9 on 120 Model 531/2 with Compur Rapid shutter and 105mm 3.8 Tessar unit 1938, then 105/3.5 or 4.5 Tessars. Postwar versions have coated lenses. Super Ikonta C "MX" 1952. 6x9 on 120 Model 531/2 with Synchro Compur shutter and coated 105mm 3.5 Tessar. Super Ikonta D 1934-36. 6.5x11 on 616 Model 530/15. Uncoated 120mm 4.5 Tessar.